Easter is a perfect day to share my latest project: an egg display case. 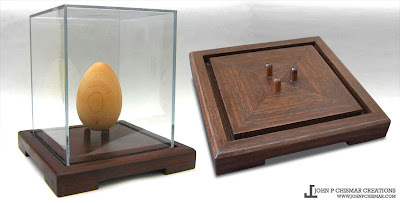 A friend commissioned me to make an egg stand to display a cherished pysanka egg passed down from her family. The base is made entirely of walnut wood joined together with traditional wood working methods. I hope the Easter Bunny approves.